Once in a while we get really awesome sheet metal projects that are standing out of the 14 shapes you can configure online on our website. Both of these projects reached us via the individual request form on our website, where customers have the ability to send us some drawings or sketches of what they need and want. 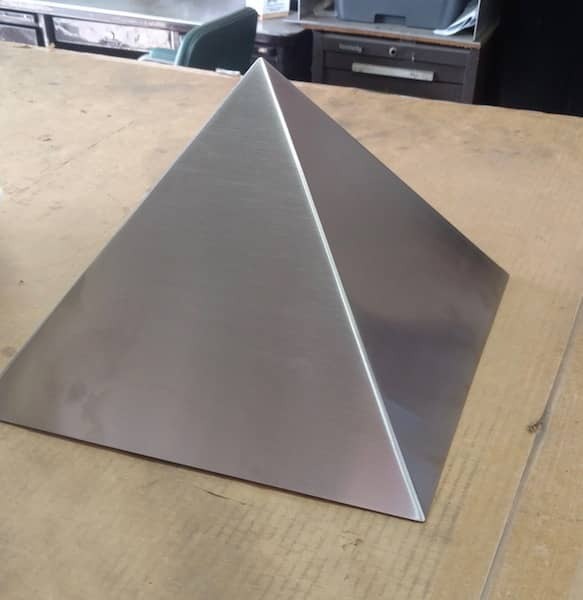 By specifying the sheet metal and providing us a drawing we can determine whether we are able to fabricate what you have thought of or need for your DIY project. 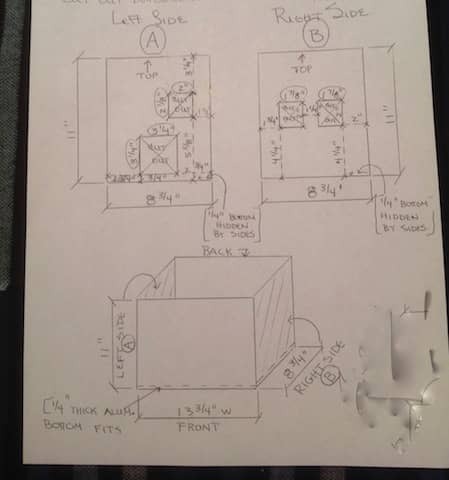 In many cases we receive not to scale sketches in some we get CAD drawings. Both is possible. Our incredible team of talented engineers and CAD programmers take what they get and if we are sure the result is what you can expect we will give you a free metal quote. But most of the times we get requests to even more individualize the shapes we offer on the website. We love to do these things as they show how creative our customers are. Here you can see the drawing the customer has provided us. 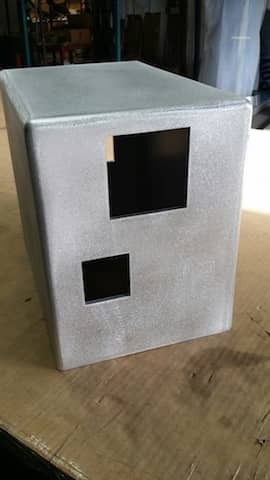 This aluminum box with different cut-outs on two of the sides is actually used for a special wheel chair design that particular customer planed himself. 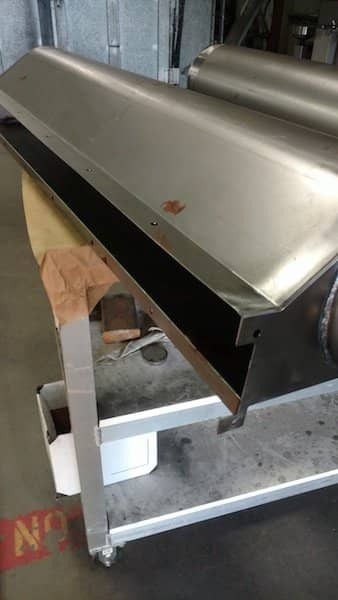 So no matter if it is something like a rectangle that needs cut-outs or something more complex we will be happy to evaluate if we can fabricated your sheet metal project for you. 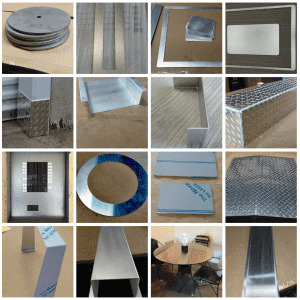 We would like to invite you to send us your DIY project that needs something that can be made out of sheet metal.